Bio: Saxophonist J. Adam Briggs, acclaimed as “a master of his instrument” (Fanfare Magazine), is an active classical soloist, chamber musician, and jazz artist. He has concertized in the United States, Mexico, and Canada, including most recently at the U.S. Navy Band International Saxophone Symposium and the North American Saxophone Alliance Conference. Briggs has given residencies and master classes at Interlochen Arts Camp, Brevard Music Center, and throughout Maryland, Michigan, and Arizona. His teachers include Paul Nolen, Timothy McAllister, Kelland Thomas, Gary Louie, and Joseph Lulloff, with whom he completed his Doctorate of Musical Arts in Performance. In addition to teaching at Blue Lake Fine Arts Camp, he spends his summers performing at the Taneycomo Music Festival with his wife and Duo Corcra partner, bassoonist Genevieve Beaulieu. His solo debut recording Transcension is on the Blue Griffin label. Ensemble Bio: Bassoonist Genevieve Beaulieu and saxophonist J. Adam Briggs formed Duo Corcra in 2014. 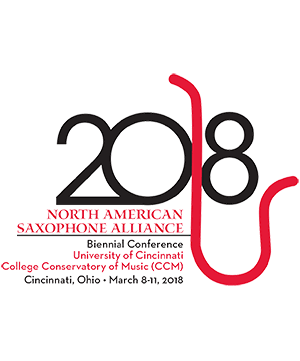 They have performed at colleges and festivals throughout the midwest including Hope College, Michigan State University, the Taneycomo Music Festival, the U.S. Navy Band International Saxophone Symposium, and several North American Saxophone Alliance Conferences. Duo Corcra has commissioned several new works for the medium from composers Yoshihiro Fukagawa, Larkin Sanders, and Alexis Bacon. They currently reside in Holland, MI. Genevieve Beaulieu Bassoon Dr. Genevieve Beaulieu is currently serving as Instructor of Bassoon at Hope College in Holland, . . .